Tween/Teen Concerns (i.e. Self Esteem, Anxiety, Depression, Decision-Making, Peer Issues), Communication Issues, Separation & Divorce, Family Issues, Relationship Strengthening. I feel really lucky that I get to get up and do what I love everyday. Over the last decade, I have had the opportunity to gain professional experiences in a variety of clinical settings with diverse populations. It is these experiences that have shaped not only the therapist that I am today, but the person I am today as well. With nearly a decade of experience working in both Baltimore and Montgomery County Public Schools for county school based therapy programs, I have really developed a passion for working with children and adolescents. It is through this work that I developed skills in working with tweens/teens to help them build self esteem, develop a sense of self, navigate difficult peer issues, learn to manage anxiety and depression, and develop healthy decision making skills. 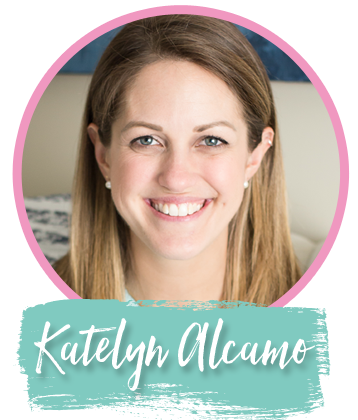 I believe it is both my strengths-based approach and my emphasis on building a strong, open, and trusting relationship that allows tweens/teens to feel comfortable and safe exploring themselves and their goals with me in therapy. I also believe engaging the family in family therapy when needed is an important part of my work with children and adolescents. It is my hope to help families improve trust, communication, and structure at home. I also help families prepare for and feel confident in the launching phase of life. While working in the school system, I also continued to work with individuals and couples at a group private practice in Silver Spring. Many of the individuals I worked with were facing challenging transitions in their life, trying to manage anxiety and/or depression or were simply looking for a safe space to explore themselves and their goals. I also supported couples as they worked to heal their relationship as a result of infidelity, a breakdown in communication, or a general loss of passion. Most recently I became interested in supporting families as they go through the process of separation and divorce. After working with numerous children and families who were struggling both during and after a divorce, I wanted to find a way to try and prevent some of the pain and problems. As such, I received training in collaborative divorce and now work with attorneys and financial professionals to help families navigate the divorce process in a way that best supports all members involved. As a member of the collaborative team, I serve as child specialist, bringing children’s voices to the table. I am excited to continue to grow in this area as I think it is a very healthy alternative to traditional divorce litigation. Please check out my page on collaborative divorce to learn more. In addition to my clinical work, I also try and stay active in my professional communities. As a Clinical & Founding Member of my professional organization, Metro MFT, I work to stay active in the field of Marriage and Family Therapy by participating as Member-at-Large. I currently serve as President-Elect, soon to be President, for Montgomery County’s Collaborative Divorce Resolution Professionals (CDRP) group. I am also an Approved Supervisor and support both new and seasoned clinicians in their work with clients. I consider myself to be a warm and collaborative therapist who strives to empathize with and validate each client’s experience and feelings. It is my hope to provide a safe space where client’s can be open about even the most difficult and painful thoughts, feelings, and experiences. I also work to be direct and challenging when it is clinically necessary to help clients become unstuck and move towards their goals. 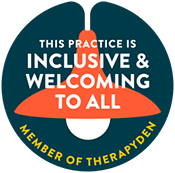 I draw on a range of clinical tools and therapy models including CBT, Solution Focused, and Play Therapy. I know that each client that comes into my office is unique and thus work hard to tailor strategies and interventions that best meet the needs of each client. When I am not working, I enjoy spending time with family and friends, riding horses, and being outside. I am married, have two daughters, Riley and Bella, and a dog, Cooper. Katelyn is in the office Monday through Friday and sees clients for morning, afternoon, and evening appointments.